They probably mean the fleece length. Originals had 1/4 inch shearling I believe. Eastman is close to that but I think Aero is longer, maybe 15 mm. I'm not sure it ever came in redskin either. But what the hell you can be too fussy about accuracy in some things. I like civilian versions of military jackets best really. You have a B3 or something else? 3 B-3s and 2 Irvins. I love the shape and rugged look of the B3. Where are you from? Do you get plenty of use out of them? Do you have any of the other? B6 or D1 ? If so how do they compare? stanier, s4rmark and riopaulf like this. Looking again at the D1. Wonderful cut. Look at this link! Also, just wondering about sizing now, as this guy says something is not quite right? He probably bought it from the sale page where returned or stock jackets are sold and they have the measurements. If you order one from Aero you give them your measurements and they will make it to fit you - you hope. I prefer to tell makers the measurements I want and that way they always fit. But professional pride means they don't really like you doing that. What measurements will they need for a 'custom' jacket? They aren't exactly custom. They just take a stock size pattern that would fit your body and adjust the back and arm lengths. If you go to the site there is a page with the measurements needed. Smithy and D97x7 like this. 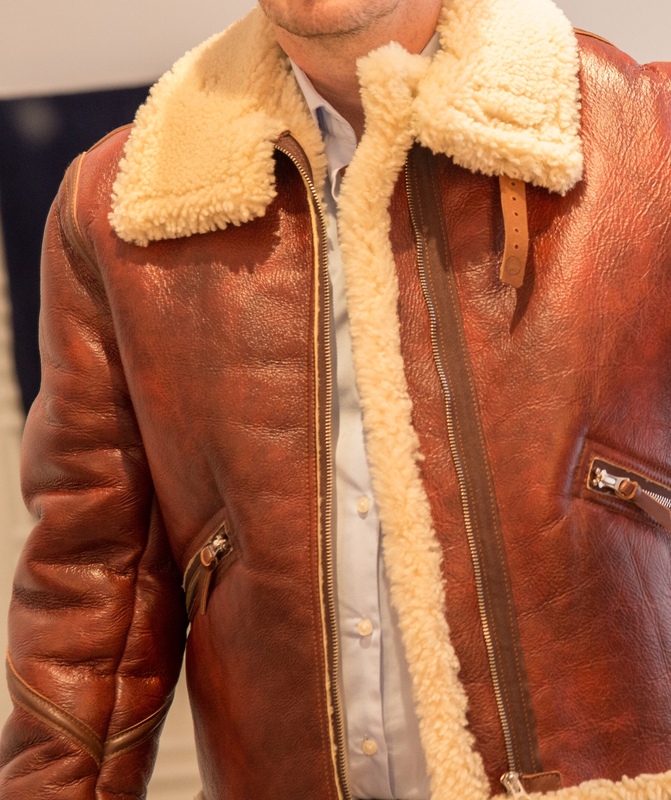 Lovely jacket is the Aero D-1 redskin. I hope the arms fit you a bit better length wise than in that pic though. Btw, to help with the wait time until it arrives, you might want to check your tees and shirt collection. These jackets are warm, so be ready as you’ll want to wear it when it arrives and, depending on where you live, in 10 -12 weeks we’ll be heading into spring! Yes 10 weeks will put us further out of the cold weather - another reason for the lighter jacket! Still, it doesn’t look too much lighter, or am I wrong? If I can afford a B3 I might buy one later toward the end of 2019. Stanier - pls tell me how it should fit properly. What’s wrong with the arm length in those pictures? Will Ken be getting in touch again before he cuts the leather? IMHO the sleeves are rather too long for the wearer in that pic. 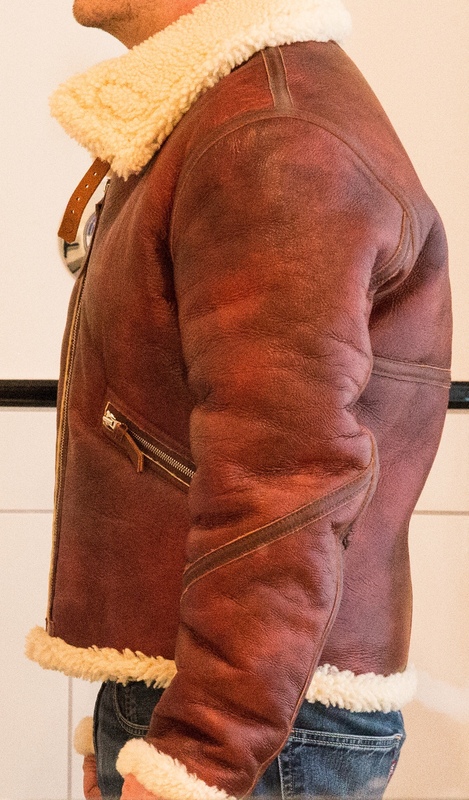 I’ve seen WWII pics of D-1’s with the sleeves turned up to various lengths, so not necessarily inaccurate to have longer sleeves but I haven’t seen many, if any, wearing them like in that pic. And with the slightly longer fleece length on the Aero D-1 it might not be so easy to turn them up. I’d urge you to check dimensions with Aero and / or Ken. They maybe listed on the website too. That jacket will be warm I have no doubt. It will turn heads no doubt too as it looks superb, but in anything above about 9 or 10 degrees Celsius tops will be uncomfortable and probably be turning heads as people wonder how you wear it! Look forward to it, it’s ceetainly a beauty! Cheers Stanier. Thanks very much for the advice. Yes I suppose the D1 being a mechanics jacket needed to have the arms rolled up a bit else they’d be covered in oil and greece? I can’t wait for this jacket now. Now do I go for an arm patch too or is that overkill or technically wrong? My advice would be don’t patch or do anything until you’ve seen the jacket, worn it and are happy with it. Also hang around here and do some research before adoring the jacket in any way. 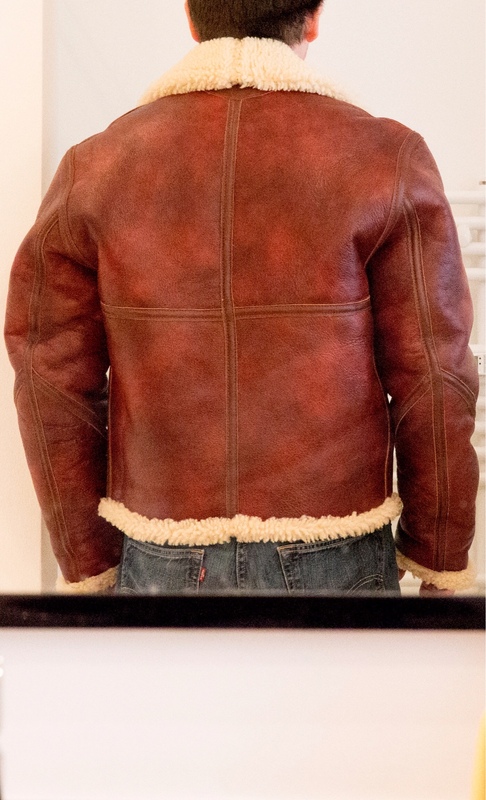 A decorated jacket limits any resale appeal and, IMHO, (and I meansthis nicely) newcomers to the hobby are prone to go OTT, do unauthentic things and go around like a VLJ Christmas tree or Del Trotter. 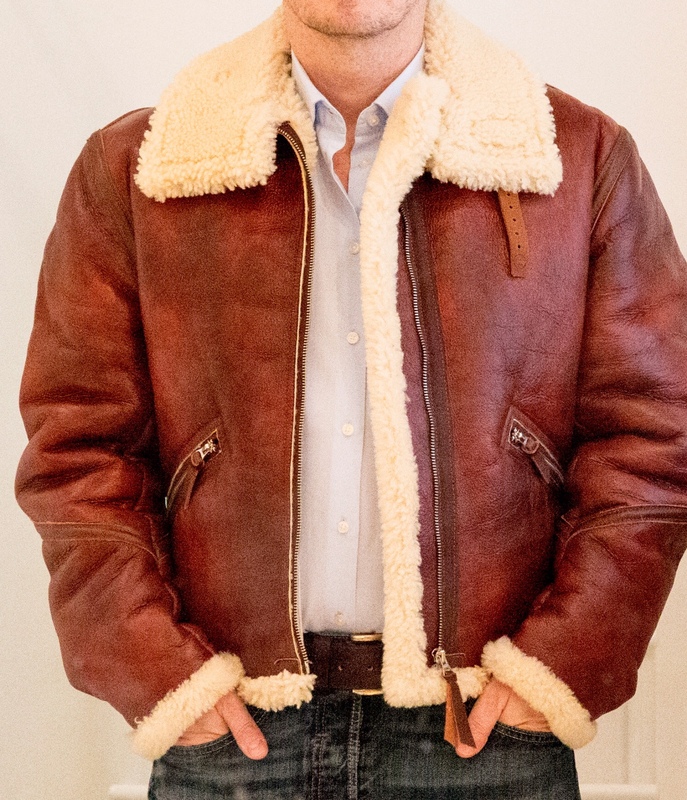 On the other hand, we’ll done and researched patched or painted jackets can be ultra cool and desirable. Just IMHO of course. Yeah I agree that one’s sleeves are too long. You want them to come down to your wrists, not your knuckles. Did Aero ask for your measurements? I would have thought they would ask for whatever they need to get it right. Aero know their stuff, unless you have unusually long or short arms I imagine you’d be OK. Give ‘em a ring if you’re concerned though, I’m sure they’ll sort you out. Also Stanier is dead right, don’t go mad on patches and stuff until you get it and you’re happy with it-and even then, try to show some restraint, it’s easy to overdo. You don’t see too many D-1’s with insignia anyway, bearing in mind they were ground crew jackets. They did find their way into the air, (often swapped for a B-3), but few ground crew bothered with much more than a name tag.